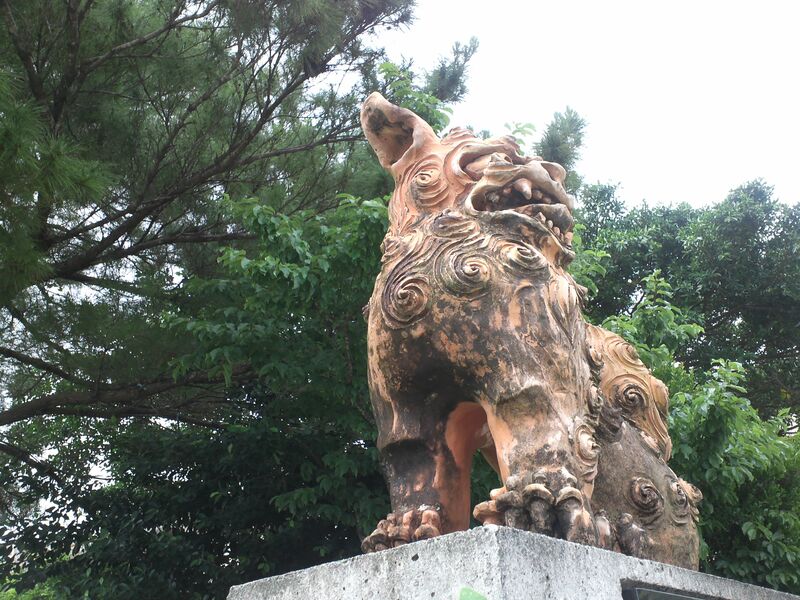 In Okinawa, there are these lion-dog looking beasts on every building. These are shisas, the guardians of Okinawa. Supposedly, they come from China, like many foods here. The male shisas have their big jaws open, their teeth showing as in a half-growl to scare evil from the building. The female shisas have closed mouths, keeping all the good things from escaping the building. Everywhere, one male shisa and one female shisa work in unison to maintain peace and harmony in the home. Of course, I don’t know how much of it is true. A local told me this with a strong sense of pride for the Okinawa lifestyle.